Although I love all the modern appliances that come with an updated kitchen, to me there is nothing homier than gathering around a harvest table in a farmhouse kitchen. And who says you have to give up modern conveniences to achieve that warm feeling. Even with a small budget, you can add farmhouse charm to your own kitchen. I love the hooks with the hanging pots in this photo. An old ladder (look for these in thrift stores and at garage sales) hung from the ceiling with hooks can support an array of old pots. 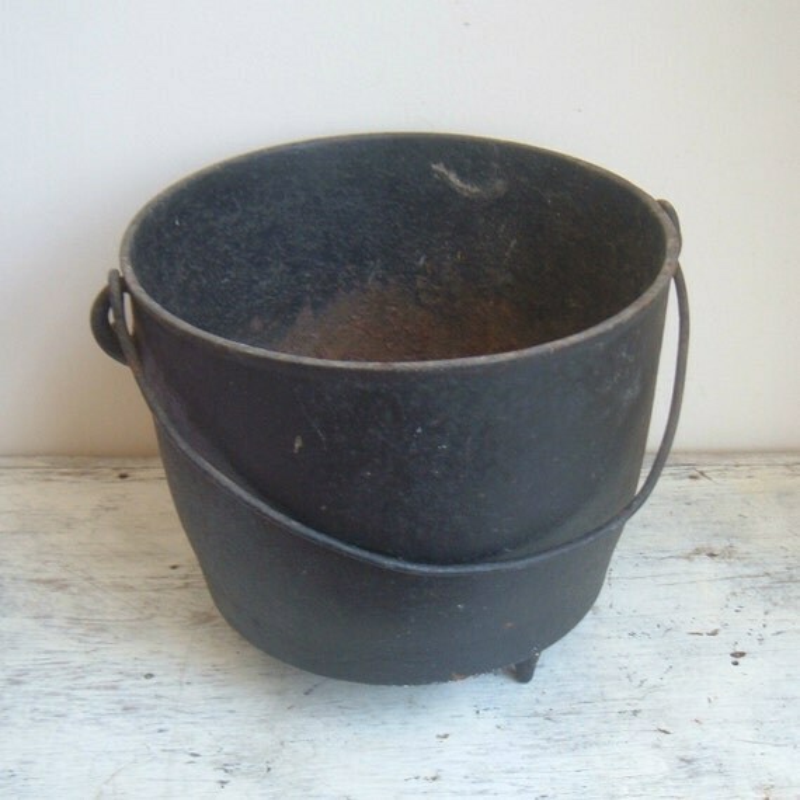 The pots don't have to be useable and I like ones with an aged patina. 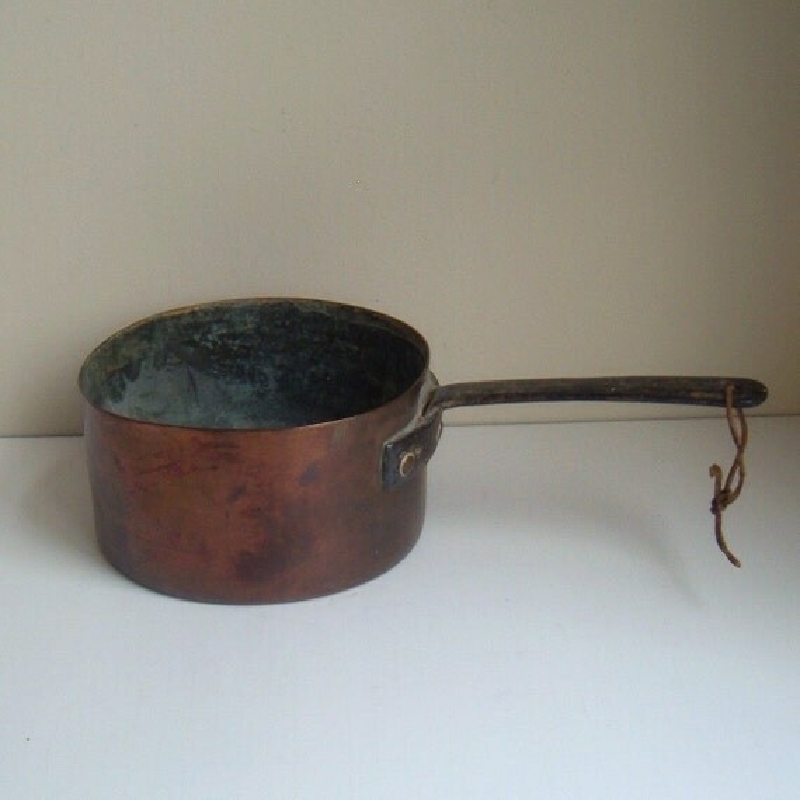 This antique hand forged copper pot has a wonderful aged patina and is ready for hanging. 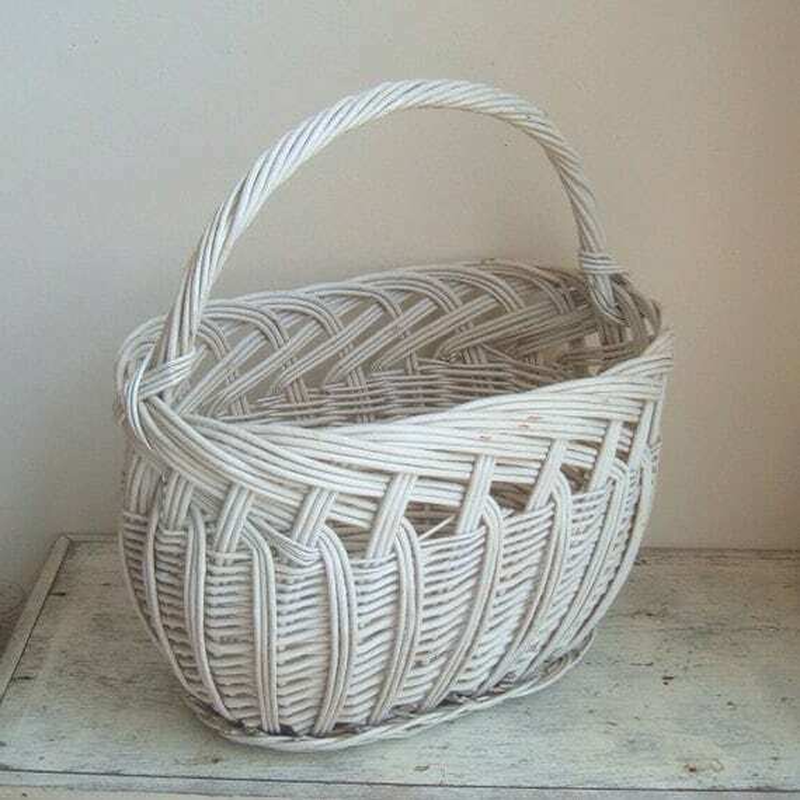 Baskets, both woven and wire, make lovely display items as well as being useful for storage. 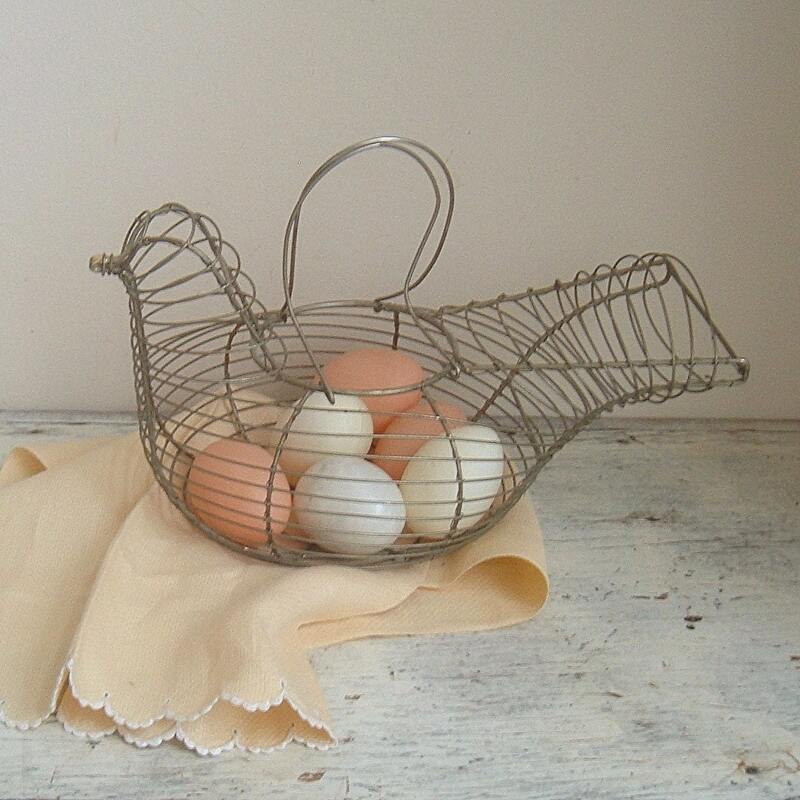 Old worn kitchen wares are an inexpensive addition to a farmhouse kitchen. 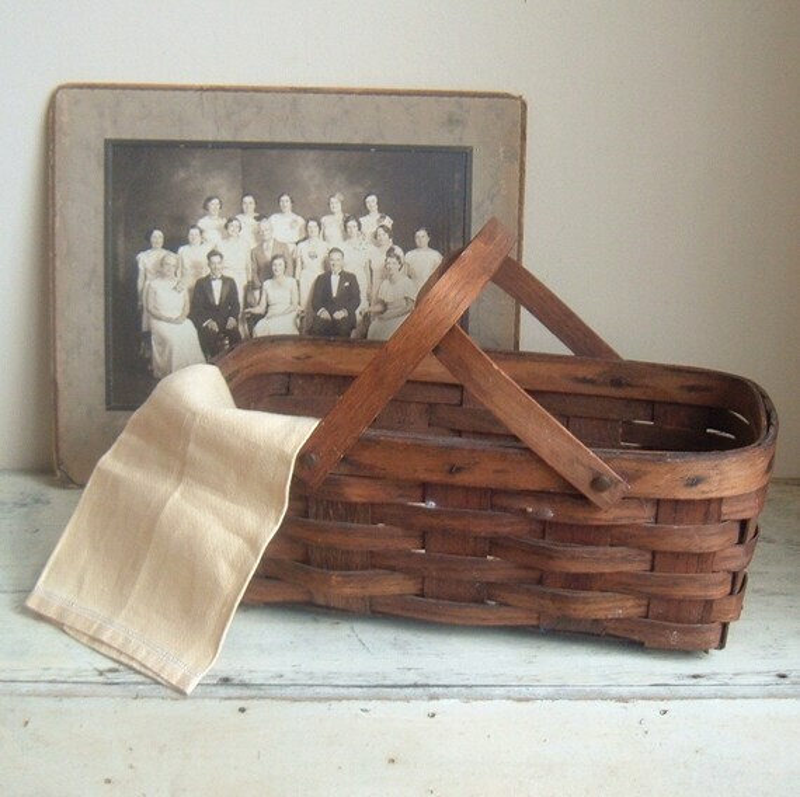 Hang them as a display on your wall, or place on a counter as a catchall. 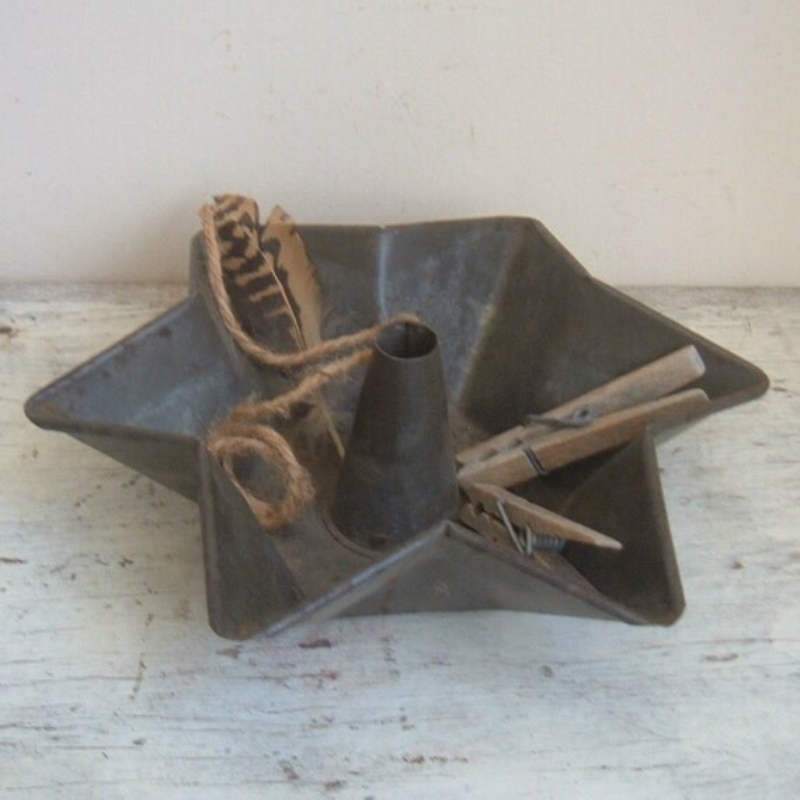 Think tin colanders, graters, gelatin molds. 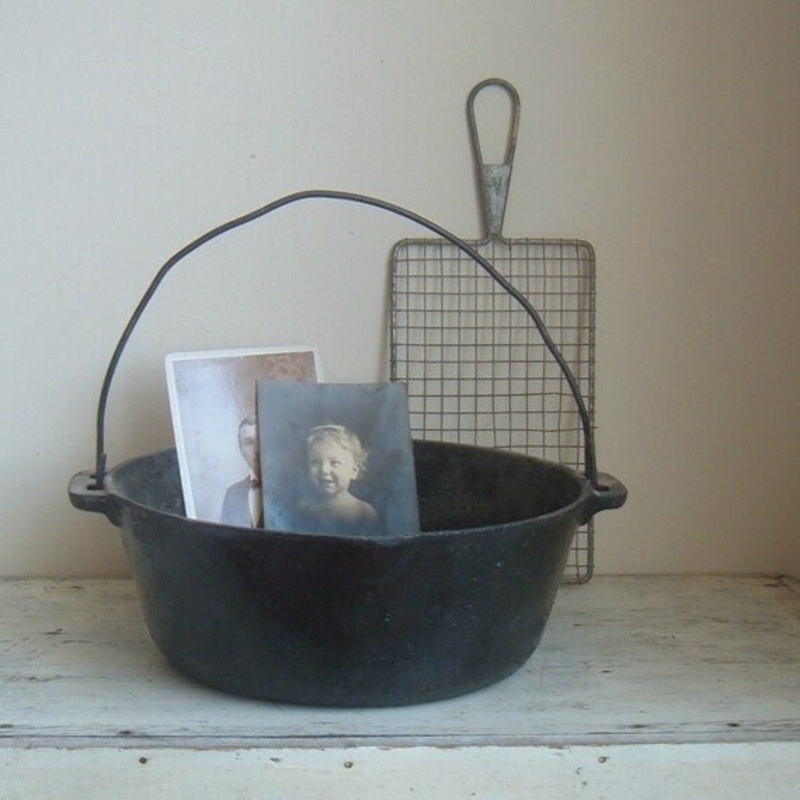 we can still have the iron pots for hanging, a place to show off photos or postcards, or a lovely place for a potted flower. Have a wonderful Thursday. I am heading off to another auction this afternoon. 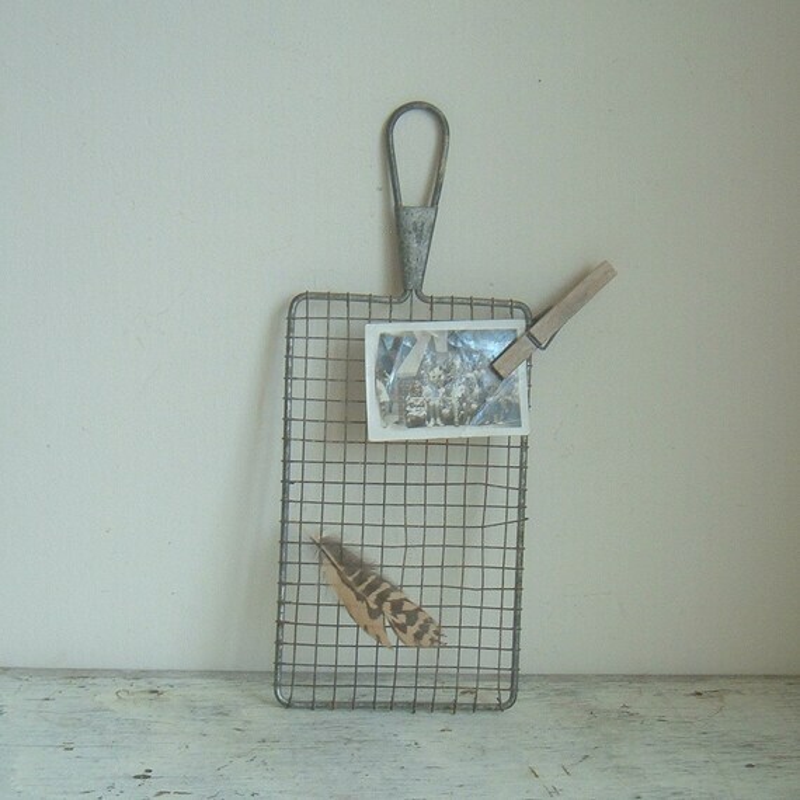 The strainer as a message board is really cute! We love our beat up old farmhouse table. One of my tips for spending more time there is to have upholstered chairs on either end. We often go and sit at the table to use our computers, read, etc. I like everyone gathering in the kitchen and time worn always lends itself to comfort. 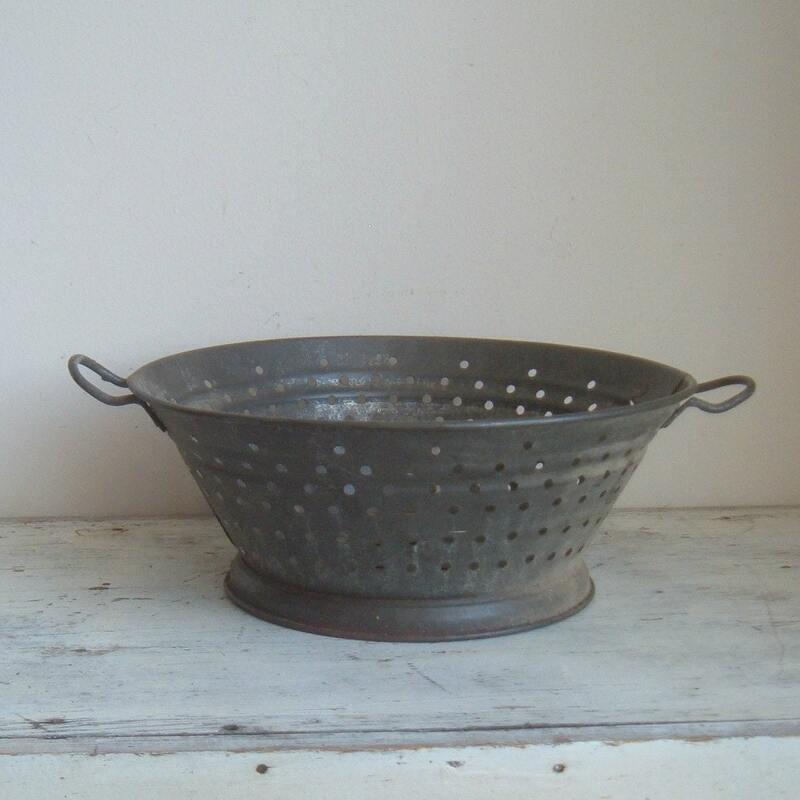 I love the primitive colander, as well as the out of the brick wall faucet! I love the warm feeling of a farm house kitchen too. Great inspiration here. I love what you did in this post. Very creative way to present your items. Plus everything was so gorgeous! What a fun visit I've had this afternoon. Such a cozy kitchen, I think I'd like to sit and watch you cook. (I'd like to sit anywhere and watch cooking as long as I didn't have to do it!) Seriously, I do love all your treasures and how you've used them to create your home. Great suggestions. Thanks for visiting me at Reno and Reorganization, I am following you back.